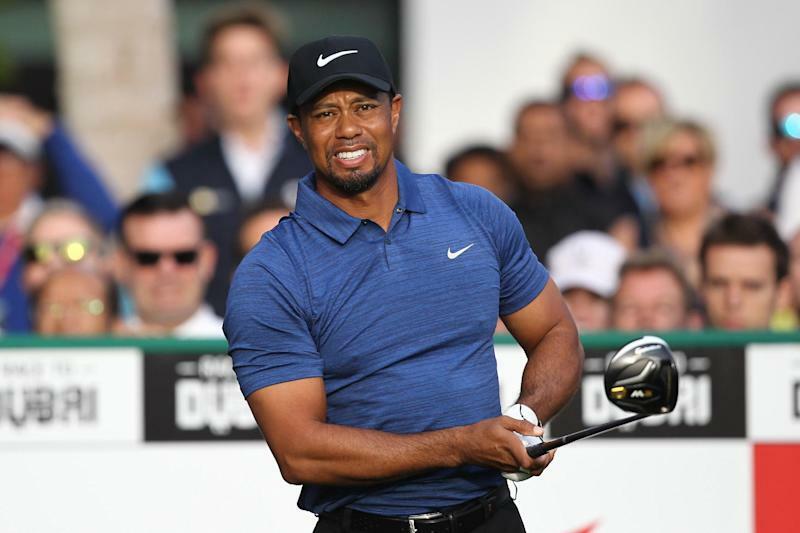 Pacific Palisades (United States) (AFP) - Tiger Woods has been advised to limit his activities as he battles back spasms that have hindered his return to competition. Although he had already withdrawn from this week's Genesis Open, as tournament host he was supposed to give a press conference on Wednesday, but cancelled it. "After receiving daily treatment the last several days on his on-going back spasms, Tiger Woods has again been advised by doctors to limit all activities and will not hold a press conference Wednesday," the tournament said in a statement. Woods, the 14-time major champion trying to rebuild his career after multiple back surgeries that benched him for more than a year, pulled out of the European Tour's Dubai Desert Classic before announcing his withdrawal from this week's Genesis Open at Riviera Country Club and the Honda Classic near his Florida home next week. In a statement on his website last week, the 41-year-old superstar said a "possible playing schedule" for March and beyond would be determined after his back had been reassessed, with time ticking as the Masters, the first major tournament of the year, looms on April 6-9. Australia's world number one Jason Day, who has battled back trouble of his own, noted that Woods is in the difficult position now of needing to play to hone his game, but needing to rest his back. "I think it's a double-edged sword for him because he has to come out and play and play tournament golf, but you have to watch also your back and make sure that's healthy," Day said. "Because you have to play golf to get tournament ready and get the competitive rounds under your belt and get those juices flowing again, but also in the same regard you have to be wary of, is your back 100 percent." Day said he hoped to see Woods back in action without injury concerns before the end of the year. "I just want to see him back competitively playing and not having to have the injury kind of doubt in your mind," he said.